You might remember seeing these beautiful parents-to-be in my last maternity post as they anxiously awaited their baby girls arrival. 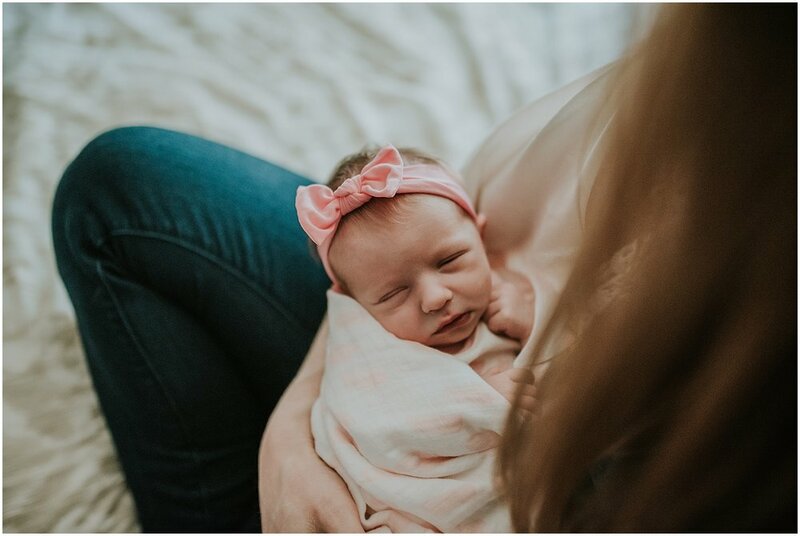 I received a text with some photos from Lindsey stating that baby Nora Lee had made her debut. 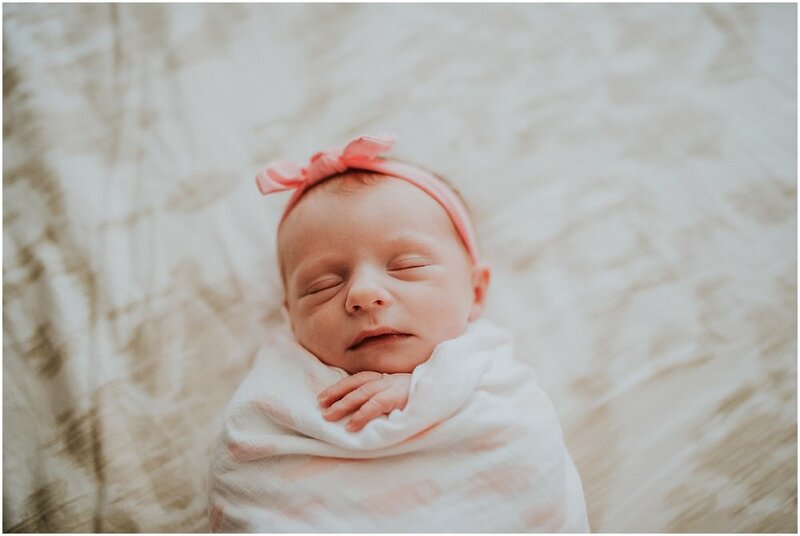 What a precious baby girl. Their greatest adventure will begin now. 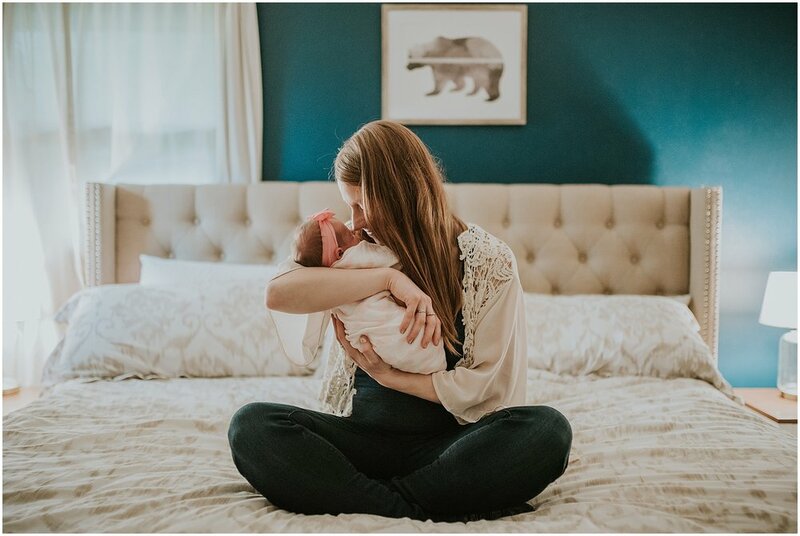 Nora's nursery was carefully put together by her loving parents who love to travel and are always up for an adventure. The hot air balloons were on all of the tables at Lindsey's shower and were created with so much thought by Billy's sister. 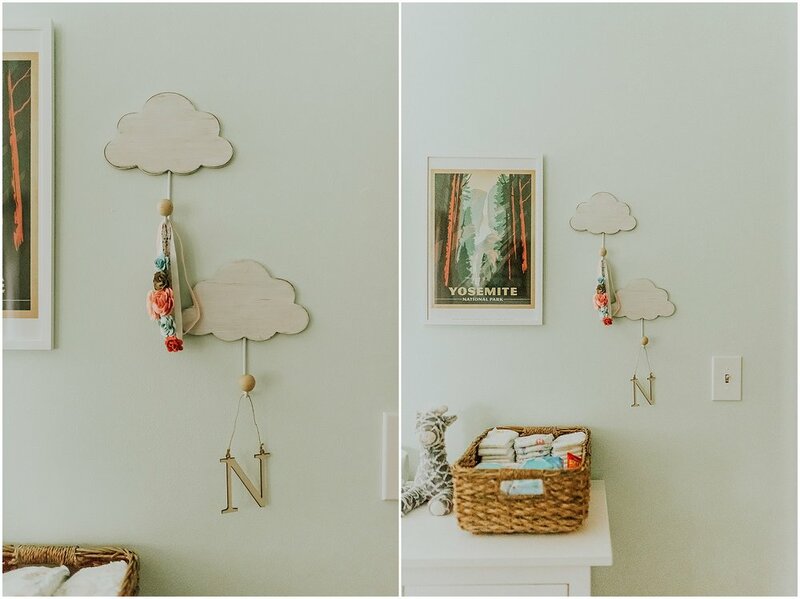 Little pieces gave this nursery such a cozy feeling. Lindsey's coin bank from when she was a child carefully sat amongst the new baby items in Nora's room. 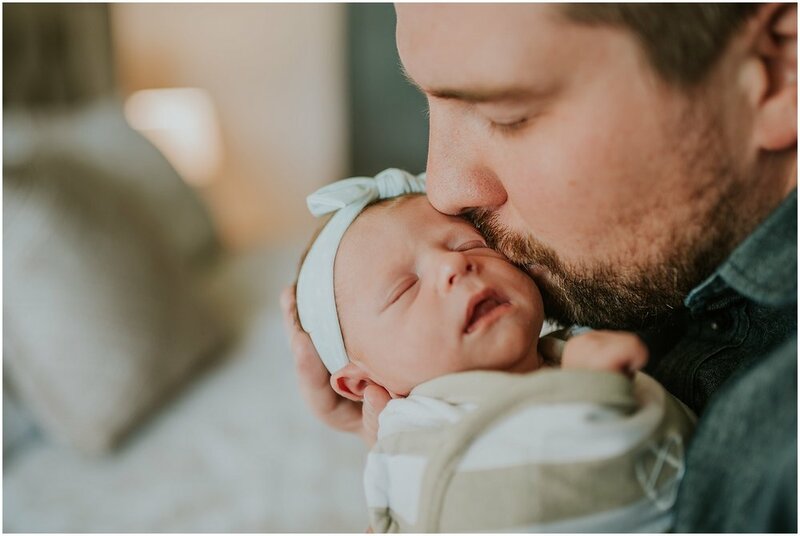 I am so thankful that my camera brings me to all these special moments. 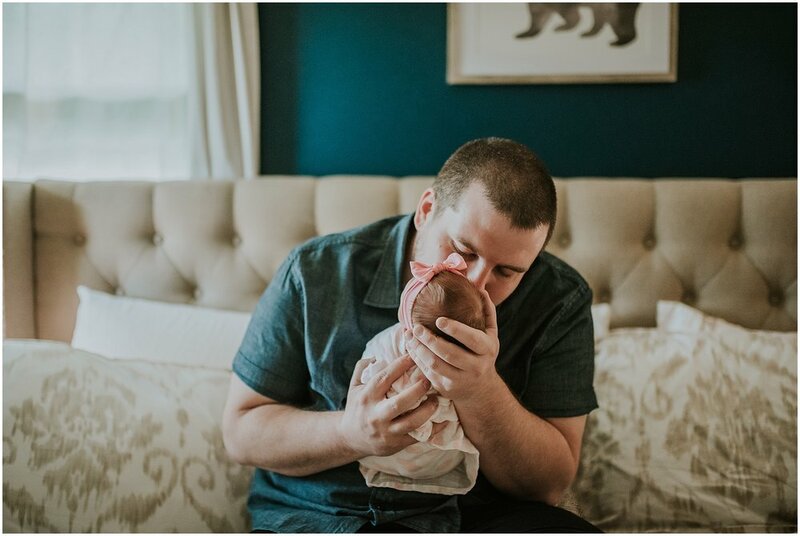 Each new baby or family brings me so much joy that I sometimes tear up as much as the parents do during these sessions. 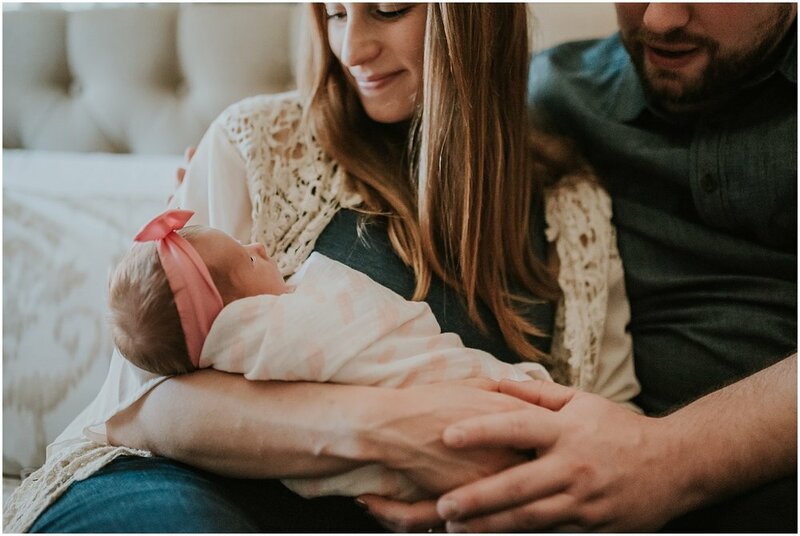 The sweet new moments of a family in their home is a feeling that I will never forget. It never gets old and each new time is as special as the first time I have done this. I am so happy for Lindsey and Billy as they start their journey as parents. 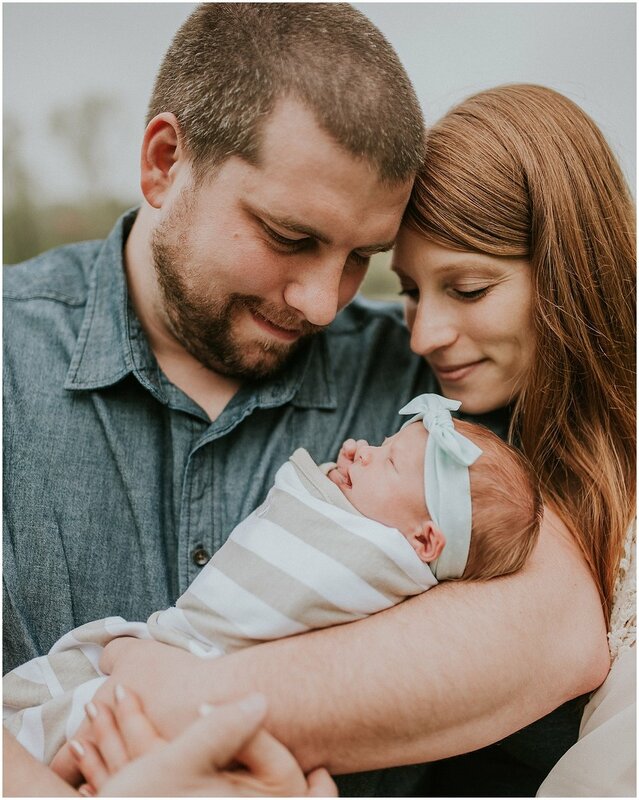 Baby Nora is special and so deserving of these amazing parents.